Kerry M. Wisser is a principal in the West Hartford, Connecticut law firm of Weinstein & Wisser, P.C., where he practices in the areas of Commercial litigation, Personal Injury litigation and Medical Malpractice litigation. He is a Board Certified Civil Trial Advocate by the National Board of Civil Trial Advocacy and he is a member of the Examining and Advisory Board. 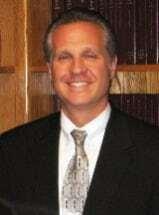 He has extensive trial experience in state and federal courts. He also has extensive experience in arguing appeals before the Supreme and Appellate Courts. Mr. Wisser has been named as a "Super Lawyer" in Connecticut Magazine for 2006, 2007, 2008, 2009, 2010, 2011, 2012, 2013, 2014, 2015, 2016, 2017 & 2018. For 2009, 2010, 2011, 2012, 2013, 2014, 2015, 2016, 2017 & 2018 Kerry has been selected to the New England Super Lawyers. (For more information please see www.superlawyers.com/connecticut.) He has also received the highest ("AV") Peer Review Rating from Martindale-Hubbell, which evaluates lawyers in the United States and Canada , and is solely based on peer review. Attorney Wisser has been selected as a "Fellow" of the Litigation Counsel of America, which is a Trial Lawyer Honorary Society. It is based upon peer review regarding evaluation of effectiveness and accomplishments. He has been selected as Top 100 Trial Lawyers by the Members of the American Trial Lawyers Association. Mr. Wisser has lectured in the past regarding various trial techniques and evidentiary issues. He is admitted to practice before the United States Supreme Court, the United States District Court for the District of Connecticut, as well as the Supreme Courts of Connecticut and Pennsylvania. Mr. Wisser is a former member of the House of Delegates of the Connecticut Bar Association and is also a member of the American Bar Association, American Trial Lawyers Association, the Connecticut Trial Lawyers Association and the Hartford County Bar Association.